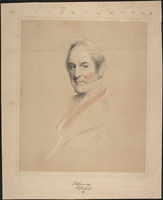 HODGSON, Sir ROBERT, lawyer, land agent, politician, judge, and administrator; b. 1798 in Charlottetown, P.E.I., eldest son of Robert Hodgson and Rebecca Robinson; d. 15 Sept. 1880 at his home in Charlottetown. Born into an Anglican family of comfortable circumstances, Robert Hodgson completed his education at King’s College, Windsor, Nova Scotia. 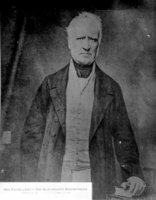 He studied law with Simon Bradstreet Robie* and James W. Johnston in Halifax and was called to the bars of Nova Scotia and Prince Edward Island in 1819. 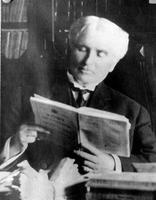 He then took up residence in Charlottetown and pursued an active career as a lawyer, land agent, and politician. He married Fanny McDonell in 1827, and they had two sons and one daughter. Hodgson did not remarry after she died on 2 May 1832. 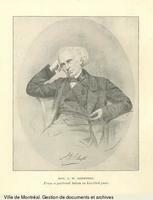 Hodgson entered public life in 1824 by successfully contesting an assembly seat for Charlottetown. He rapidly became an integral part of the local élite. Sometimes in partnership with John Lawson, he acted as land agent for such leading proprietors as Robert Cundall, the Earl of Westmoreland, the Montgomerys, the Stewarts, and the Douglases. When William Johnston*, the attorney general of the colony, died in May 1828, Hodgson was named his successor on an interim basis. A year later, the appointment became permanent, and Hodgson resigned his assembly seat. He was then appointed to the Executive Council and the Legislative Council, becoming president of the latter body in 1840. An investigation carried out by the assembly in the following year revealed that Hodgson had close family connections with no less than three of his eight fellow executive councillors. Hodgson nevertheless enjoyed bipartisan prestige among Island politicians. In 1846 the lieutenant governor, Sir Henry Vere Huntley*, described him as “clever and professionally well informed . . . [and] uniformly popular from his kind-heartedness.” Four years later, during a crisis in the struggle for responsible government, when it seemed as though the Reformers might assume office, they offered to allow Hodgson to retain the office of attorney general and his seat on the Executive Council if he would join them. He declined, and when the Reformers did take power in 1851 he resigned the two positions. He remained president of the Legislative Council for another year. 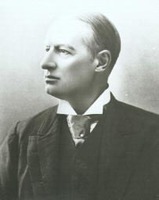 In consideration of his long tenure as attorney general, Hodgson was granted an annual pension of £200, conditional upon his not accepting any office of emolument “under the Government of this Island.” Stating that “the pension of that Gentleman . 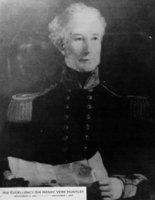 . . will be saved to the Colony,” the Executive Council of George Coles appointed Hodgson to the vacant chief justiceship in 1852. 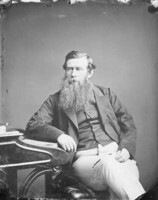 He was an appropriate choice, as he had been the senior practising barrister on the Island for some years, and because, in the estimation of the governor, Sir Alexander Bannerman*, he had “a thorough knowledge of Colonial & Constitutional law.” He held the position for 22 years, and three times within that period (July to December 1865, October 1868 to October 1870, and August 1873 to July 1874) acted as administrator when the governor was absent. 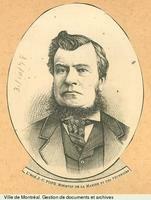 In January 1869 both he and the chief justice of Nova Scotia, William Young*, were knighted. Serious problems arose over the land question when Hodgson was administrator in 1865. The new and radical Tenant League, whose members were pledged to refuse payment of rent to landlords, caused such disorders in Queens County that Hodgson sent to Halifax for two companies of soldiers to restore order. The military presence was effective, and the administrator’s action brought approval from London, from most of the Island press, and from the lieutenant governor, George Dundas. Although Hodgson asked to be appointed lieutenant governor in 1869, he was maintained in his office as chief justice, and William Robinson* became lieutenant governor. 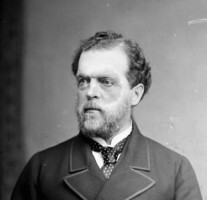 Robinson left the Island in 1873, Hodgson was again appointed administrator, and was named lieutenant governor the following summer. Since his salary was now paid by the government of Canada, Hodgson demanded resumption of the pension granted in 1851 and withdrawn in 1852. Despite considerable criticism from members of both houses of the local legislature, he was successful in his claim. As a result, he was receiving one salary and two pensions (as retired attorney general and chief justice) during his tenure as lieutenant governor. He retired in 1879 and died the following year, leaving a considerable estate in land and money. PAC, MG 26, A (Macdonald papers), p.48274; RG 6, A1, 4, f.1465. PAPEI, Robert Bruce and David Stewart letter book, I (16 March 1821–21 Aug. 1834), 355, 359–60; Prince Edward Island, Executive Council, Minutes, 21 May 1852, 1 Aug. 1865. PRO, CO 226/78, 111–12, 158; 226/79, 192–94; 226/80, 183–86; 226/91, 48–51, 178–80; 226/101, especially 329–39, 345–63, 380–88, 664–67; 226/104; 226/105, especially 216–17; 226/106; 226/109. Prince Edward Island, Supreme Court, Estates Division, will of Robert Hodgson, 31 March 1879. Prince Edward Island, House of Assembly, Journals, 1825–29; Debates and proceedings, 1875, 101–8; Legislative Council, Journals, 1830–52; Debates and proceedings, 1875, 231–32. Examiner (Charlottetown), 16 Sept. 1880. Patriot (Charlottetown), 16 Jan. 1869, 18 Sept. 1880. Pioneer (Summerside, P.E.I. ), 22 Sept. 1880. Prince Edward Island Register (Charlottetown), 13 Nov. 1824. Royal Gazette (Charlottetown), 11 June 1850. Can, parl. comp., 1874, 513. MacKinnon, Government of PEI, 38, 145. T. R. Millman, A history of the parish of New London, Prince Edward Island (n.p., 1959), 7. J. B. Pollard, Historical sketch of the eastern regions of New France from the various dates of their discoveries to the surrender of Louisburg, 1758; also Prince Edward Island, military and civil (Charlottetown, 1898), 200. Ian Ross Robertson, “HODGSON, Sir ROBERT,” in Dictionary of Canadian Biography, vol. 10, University of Toronto/Université Laval, 2003–, accessed April 21, 2019, http://www.biographi.ca/en/bio/hodgson_robert_10E.html.